Let me start off by saying Happy Apple Day. Every time Apple has an event there is a noticeable moment of panic in wallets everywhere. Will they announce something that I need, or will today be a waste of energy. Today was a wallet breaker day. Apple had 3 big announcements today, iOS 7 which was teased before but really got to shine today, the iPhone 5C which I am calling the iPhone Kids and the iPhone 5S. So here is what you need to know. iOS 7 is a major redesign for Apple. They have rebuilt it from the ground up and it looks amazing. 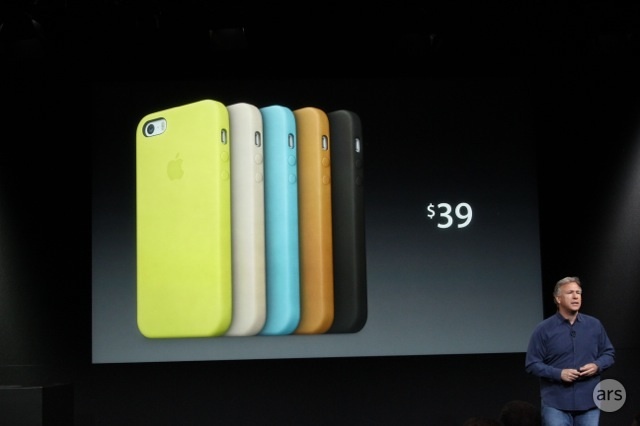 The iPhone 5C is the lower priced iPhone that was announced today. This iPhone is more along the lines of what we normally would get from Apple on an S release, but instead it is brightly packaged and labeled their C line. This seems to scream kids iPhone for many reasons, the price and the durability being the biggest, and honestly this is great. If my kids were old enough to have phones I wouldn’t want to drop too much money for their phones that they will just break. This way they still get the iPhone quality (plus the nice little tracking app for parents Find My Friends) for a cheaper price. Also the fact that it comes in 5 colors makes it appealing to the younger crowd. Here are the specs and pictures to make your day. The iPhone 5C has a 4 inch Retina display and an 8 MP rear facing Camera. Of course it will come equipped with the amazing iOS 7. The 5C will be available for pre order on September 13th and available in stores for purchase on the 20th. This is the first time the A7 chip is being used and this is the first 64 bit phone ever! The M7 “chip” is going to revolutionize the motion tracking capabilities of the phone and make for better health/fitness/GPS apps. Whats that, you wanted a better camera? Here you go! -Film something then pick a section to make in slo-mo! 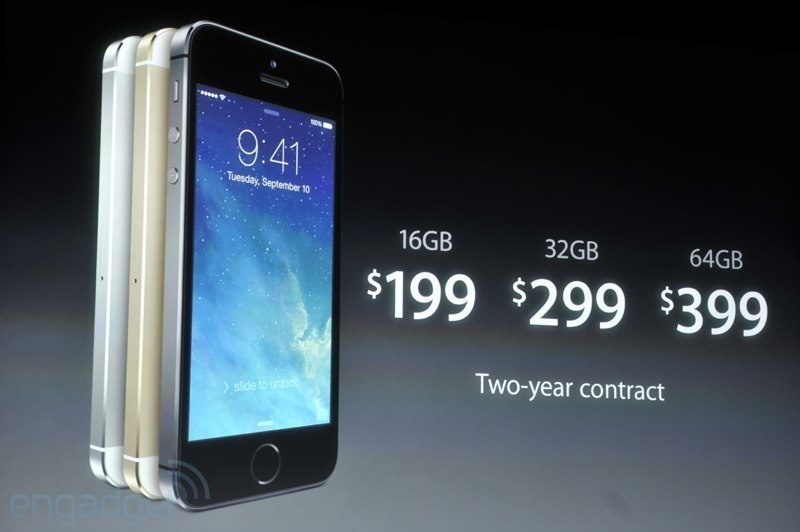 The two year contract price is for AT&T, Spring, and Verizon. You can get a phone unlocked, but you will be paying the full price. It was a great event with a great update to the iPhone, but I will say I was sad we didn’t get updates to the iPad line and the appleTV. Those are two lines that needed some love. Come on Apple, give me my new iPad! September 10, 2013 in Good Nerd Bad Nerd, iPhone, iPhone 5S, iTunes.